If you want to be successful with an internet business, then you will need to learn about selling products online. The old saying ‘you don’t sell products, you find products that sell’ is one that resonates with most people who are trying to find the perfect item that will build a second income stream or perhaps become a full-time occupation. But of the different ways to earn money online, can you really make money dropshipping? Dropshipping is fast, easy, and low-risk, which is what makes it so attractive to so many people getting started with an online business. Creating your own products is time-consuming and purchasing products in bulk will take up considerable space, especially if they don’t sell. However, dropshipping is different because you can start with little money and not have to worry about storing products that don’t sell. Dropshipping is quite popular and even large companies like Amazon use it regularly. This is because with dropshipping, you do not store, package, or buy products wholesale that may or may not sell on the market. 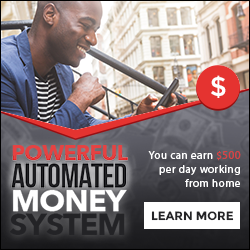 This is a method that works for so many people because all the hard work is done by the professionals while you still earn a healthy profit. The good news about this form of shipping is that it works with so many different types of products. From electronics to appliances, toys, clothing, books, beauty supplies, and more, if it can be shipped, then it can be dropshipped. With so many choices, this allows you to choose what types of products work best for your needs. Many people who use dropshipping will focus on a single product or line of products that is part of their niche. A niche is a narrow line of products within an industry that you sell on your website. Much like a boutique store will focus on a specific area of products, you will do the same if you want to maximize your profit potential. It is important to understand that dominating a niche market is not competing with big stores like Walmart, but rather attracting a specific audience much like a local store that focuses on one area. It also helps if you choose products that are popular or “hot”, which means that you can reach a wider audience which increases your profit potential. Of course, the hot products will need to be part of your niche and you will have to do some research to stay ahead of the game. However, if you are selling what is hot, you are selling more products. Set Up a Storefront: Next, you’ll need to set up a website that has a shopping cart available to take orders. However, you do not have to create a website with a shopping cart. You can make a virtual storefront on popular sites such as Amazon which is easier, cheaper, and provides you with a reputable place for customers to pay for your products. Market Your Products: You can use a combination of efforts to alert potential customers about your business and what it has to offer. You are handling the marketing, promoting, and advertising for your products. This means creating a blog, making videos, engaging in social media, and using the many other tools that the internet offers in terms of marketing what you offer. The Dropshipping Does the Rest: When a customer decides to order from your website or your virtual storefront, the source you use for the products will handle the shipment. Depending on the dropshipper, you will need to alert them of the sale through email, spreadsheet, or submitting the order online. This means that it goes directly from the distributor or wholesaler to the customer. Most dropshippers will charge a percentage and fee for their services, but you will pocket the profits. In summary, once an order is made, you pay the distributor the wholesale price for the product which includes a shipping and handling fee. You keep the rest of the money while the dropshipper sends the product directly to the customer. If you decide that selling online is for you and dropshipping offers the right path, then you will need to choose the right distributor or wholesaler for your efforts. For that, you can start by looking at the most reputable dropshippers and seeing how easy it is to order, how fast they ship, and how the dropshipper deals with any issues. Again Salehoo is an excellent resource for this. You are looking for a dropshipper that offers good-quality products at competitive, wholesale prices, so you can make a tidy profit. This will mean looking at independent reviews, talking to those who use the dropshipper, and reviewing their policies. If you are still not sure, you can purchase a few products from different dropshippers and bring in your family and friends to see if it is something they consider of good quality and a great deal. Of course, you can always go with the most popular and reputable distributors or wholesalers on the market, just keep in mind that it’s the products they offer and not just their dropshipping policies that matter. Remember, if you are just starting out selling on the internet, then you should find a niche that is popular. Do not be afraid to start selling in a large, popular market thinking that you’ll be overlooked. If you create a good niche within that market, customers will find you. This is because the competition works differently in a competitive market with lots of money to be made. The key is to focus on what makes your store unique and start selling. So, can you really make money dropshipping? The answer is a big “yes” as so many people are doing it today. Dropshipping offers several advantages that will help you make a lot of money. Make Money Online Can You Really Make Money Dropshipping? I plan to start a dropshipping business early next year. It seems like a really good way to make some extra money on the side, and potentially to replace a day to day job. 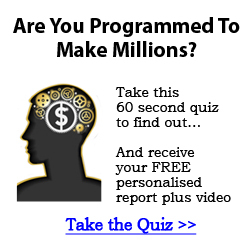 Of course it takes just as much work as affiliate marketing but thats okay. The goal is to make money even while I’m sleeping. I’ll likely start it off with amazon instead of shopify like everyone else. Dropshipping is an excellent way to generate additional income. You might consider WooCommerce as another option. Thanks for adding. Dropshipping certainly is a great model for some extra income… in fact you could build your business to a full time income with some hard work. I like the fact that you can start dropshipping with very little investment. Platforms such as Amazon and EBay combined with sites like Salehoo it’s easy to get started. If you have ever looked into starting dropshipping, just follow the article and get started. After reading your very informative description of drop shipping, I’m wondering why I never considered it before. Your example makes it seem like a clean and easy way to get products to customers who need and want them, while building a nice business. I didn’t realize large companies also use drop shipping, but it makes sense. Not having to tie money up in lots of inventory leaves it available for other business needs. 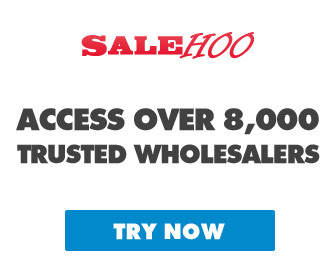 Thanks for including information about Salehoo. I’m going to check them out and start doing some brainstorming! Thank you for adding Nancy.